“…During the oppressive regime of Russian Czar Nicholas II, my father, Jonas Petras (John Peter) Tisckus and his parents lived in Kedainiai and Kaunas. With Father approaching draft age and facing enslavement in the Russian army, Grandfather made arrangements, as did many other parents, to spirit his son out of Lithuania. This was done with the aid of sympathetic Prussian “agents” who lived (in the Konigsberg/Karolauciaus region) near the Lithuanian border. In 1906, he arrived in Salem, Mass. Friends helped him obtain work in a hide (tanning) factory, but he could not tolerate the sickening stench that permeated the entire town. In January 1907, he came by train to Springfield to live with a family he had known in Lithuania, in a home east of the city near what is now the (I-55) bypass. The immigrant of those days found a varied scene in Springfield: muddy roads, board sidewalks, gas street lights, outdoor plumbing, and horse-drawn fire engines, trolley cars, carriages and paddy wagons, as well as corner saloons, player pianos, nickelodeons, medicine men, and balloon ascensions. There were also chickens, cows and gardens on city lots, nickel bread and penny ice cream cones. The fashion of the day found ladies in long dresses with “rats” in their hair and plumes in their hats; boys in knickers, girls with braids and ribbons, and men in celluloid collars, striped shirts, and straw or felt hats. To work and play in this new environment, the immigrant had always to cope with the language barrier. Father, like most men, immediately applied for work in one of the dozen or more coal mines in the area, although Springfield also had over three hundred manufacturing concerns employing several thousand workers. Immigrant women found work as hotel maids or domestics. To supplement its income, nearly every foreign family already established here took in a “greeneris” (greenhorn) or a “boardingerie” (boarder) or two or three, no matter how crowded the home already was. My mother, Alexandra (Olse) Urbas, left Aztenu, Lithuania at the age of 17. An older brother living here paid her fare. Sailing to New York as a third-class passenger, she recalled how she had almost died aboard ship from breathing the gas from an extinguished lamp. Crowded conditions and seasickness plagued the passengers; with the latter condition, victims sniffed camphor in an effort to obtain relief. In April 1908, Mother arrived by train in Springfield to live with a married cousin who had many boarders. Mother earned her keep by cooking and doing housework and laundry, the latter all by hand. She remarked that she had not found America any easier than Lithuania. Four months after her arrival, mother married my father in “Old St. Mary’s” Catholic Church at 7th and Monroe Streets. A year later, a son was born–then a daughter, followed by three boys in rapid succession. Babies were usually born at home with the help of a midwife who stayed on for several days to assist in the household. After the children arrived, a three-room house on 15th St. near Madison St. was rented. The range and a heating stove supplied warmth, and kerosene lamps supplied light. Hot water was obtained from a nearby railroad roundhouse. Immigrant families felt that owning a home was their greatest security. So, in 1916, my parents made a down payment on a modest home of four rooms on E. Reynolds St. in an almost all-Lithuanian community. Most families were buying homes and raising children, chickens, cows, and gardens. With parents and grandparents left behind in Lithuania, neighbors had to rely on each other for help in everyday projects, as well as emergencies. They exchanged tools, seeds, cuttings, recipes, and ideas about life in America. Women helped each other cut out clothes from homemade patterns, and many owned foot-operated Singer sewing machines. Because most families baked bread, flour was purchased in 50-lb cotton bags. Bags that were not used for dish towels or bedding were bleached in boiling lye solution, then used for nightgowns and petticoats. Sometimes, the commercial markings were not quite bleached out of the sacks, but even such petticoats boasted hand-crocheted hems of lace made by loving mothers. These were “Sunday best” for many little girls. Sundays saw most church-going Lithuanians attending the Roman Catholic Church. By 1909, they had built their own church, St. Vincent de Paul’s, at N. 8th St. and Enos Ave. It became the center of their religious, cultural and social life, and was a great force in the preservation of their language, songs and customs. Other ethnic groups had the same problem. It gave us a deep sense of not belonging in the outside world. Our real world was the family, neighborhood, and church. To add to our educational hurdles, few parents could help with school lessons, for most knew only their native language, manners and customs. Father had learned to read and write by now, but Mother had not. She did learn to write her name and do some reading later through classes held in the homes of immigrants. The free public school system was an overwhelming joy to Father, compared to the suppression of education he had endured in Czarist Lithuania. As we began school, Father told us, “Tas kas skaita ir rasa, duonas ne prasa.” (“The one who reads and writes does not ask for bread.”) Study was encouraged, and teachers were respected. There were some fine, dedicated and very helpful teachers at Palmer School who understood the problems the frustrated foreign children faced. They encouraged the use of the Lincoln Library, where pupils were introduced to stereoscopes and free books that could be taken home to enjoy. Most immigrants had few, if any books at home. Home life had its share of other major and minor problems and inconveniences: numerous contagious diseases and indoor pollution from smoke and ashes; the dodging of lines of laundry drying throughout the house during winter; and Saturday night baths in a tub in the kitchen. Economies were achieved by fathers repairing children’s shoes with soles cut from large slabs of tough leather. In addition to chores like bringing in coal and wood from outdoor sheds and carrying out ashes, many boys sold papers or had routes. Girls helped with housework, cleaned and filled lamps, and helped with smaller children. In the homes of miners, incomes were far from steady; work was seasonal and strikes frequent. Grocers developed a system of extending summer-long credit while mine work was slack. Families lived with uncertainty, and hard work was accepted as a way of life. Uncertainty and disruption had also been the lot of the immigrants in their native Lithuania, but American held the promise of a better living, new opportunities, and certainly, new freedoms. There were milestones along the way–the earning of U.S. citizenship (Father and Mother gained theirs on a happy day in 1918) and subsequent political participation. Possibly penned around the time of the U.S. Bicentennial in 1976 and adapted for “Historico,” a publication of the Sangamon County Historical Society. The piece printed here is taken from Ann’s original typed essay as preserved by Ann Pazemetsky Traeger, with minor edits for my blog. 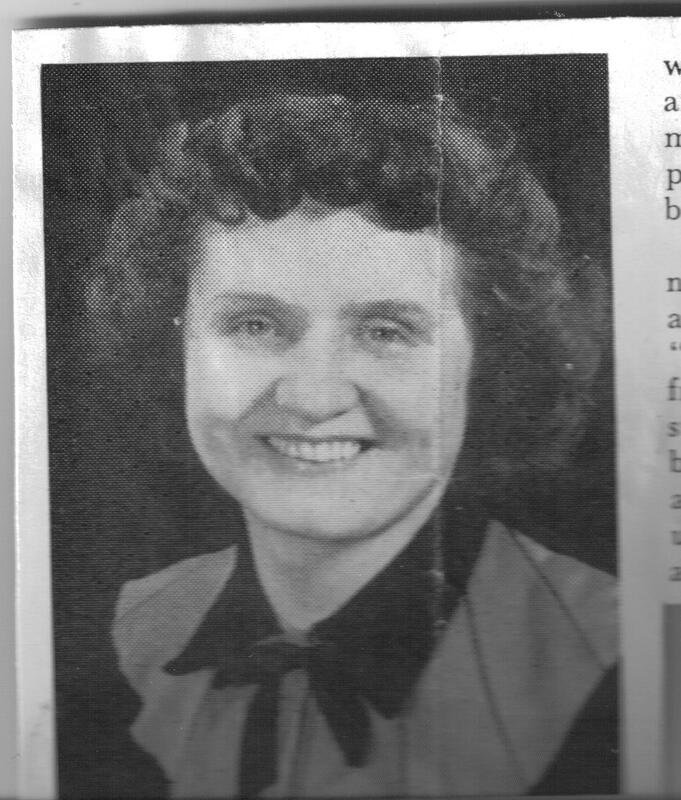 Post-script: Long before I started writing about Lithuanians in Springfield, a very special lady, Ann (Tisckos) Wisnosky (Visnauskas), wife of self-made Illinois National Bank executive August (Augie), Sr., and mother of John, a University of Hawaii art professor, and Augie, Jr., a leading Springfield architect, wrote the story of her immigrant family under the same title. In addition to being a first-class homemaker who won the Chicago Daily Tribune “Cook of the Month” award for her fruitbread recipe, and a 1948 Tribune recipe contest for her Lithuanian potato kugelis, as well as a Quaker Oats contest, Ann was a talented writer with some touching childhood memories, as you see here. Please share it with family and friends. An amazing story. Thank you, Sandy, for posting it. I will use this article in a Cultural Diversity class if I have one. It is an eye-opening story detailing a hard-working immigrants’ life. The most touching episodes were the ones describing their life in the families and community. It is shockingly descriptive, written with great love and warmth. That is so well written an so interesting. Wonderful piece of history! The Historico is the newsletter of the Sangamon County Historical Society. Ann Tisckos Wisnosky did a great job describing a bygone era. I enjoyed picturing those muddy streets, livestock and gardens in the city. Sounds like the wild west….. WOW!! That is so interesting. Really gives you an idea how things were back then. Wonderful story. I enjoyed remembering some of the “way it was,” as a young child. The LOVE of family and friends at that time will never be forgotten. So interesting and so well written. THANK YOU!! !